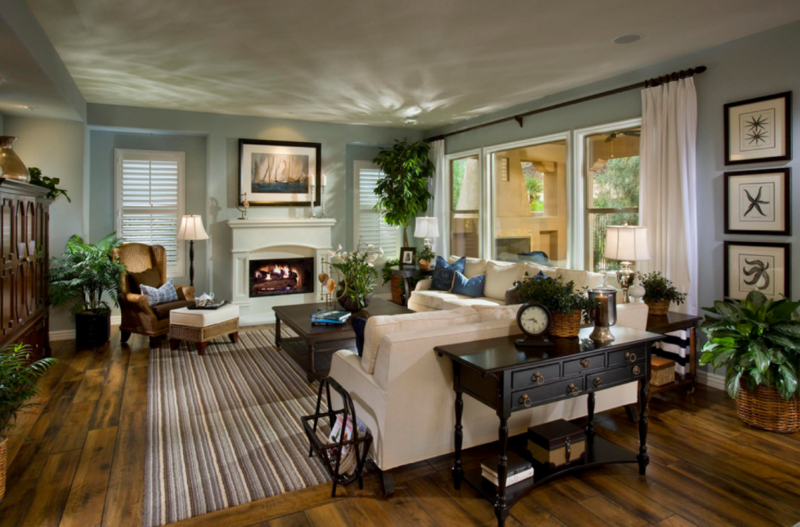 Our tastes may vary, but what everyone wants is an inviting home. Here are the 6 universal issues to be addressed when you’re working towards a more engaging interior, no matter the style. Throws and candles are nice but they are band-aids compared to the core design concepts addressed here. So, lets dive straight in! Lush greenery is incredibly soothing when brought into our homes because it offers smooth lined irregularity to our hard-lined, boxy interiors. However, plants are only enriching when they are happy and healthy, so it’s important to choose wisely. A wilted, dying plant will have the opposite effect on you and your guests. Even if you don’t have a green thumb there are ways to enjoy the breath of fresh air that indoor plants provide. Stay tuned for our our upcoming post which has helpful tips on easy care indoor plant species. What plant speaks to you is a matter of personal taste. I gravitate towards rounder leaved specimens and ferns as opposed to the pointy or spikey varieties. Any plant that makes you instinctively think “ouch, that would hurt if I touched it” is better left outside in my opinion. Consider the scale of the plant in relationship to the room size. The same presence can be achieved with either a collection of small plants or one large plant. A tall plant, I’m talking above head height, has the wow factor. 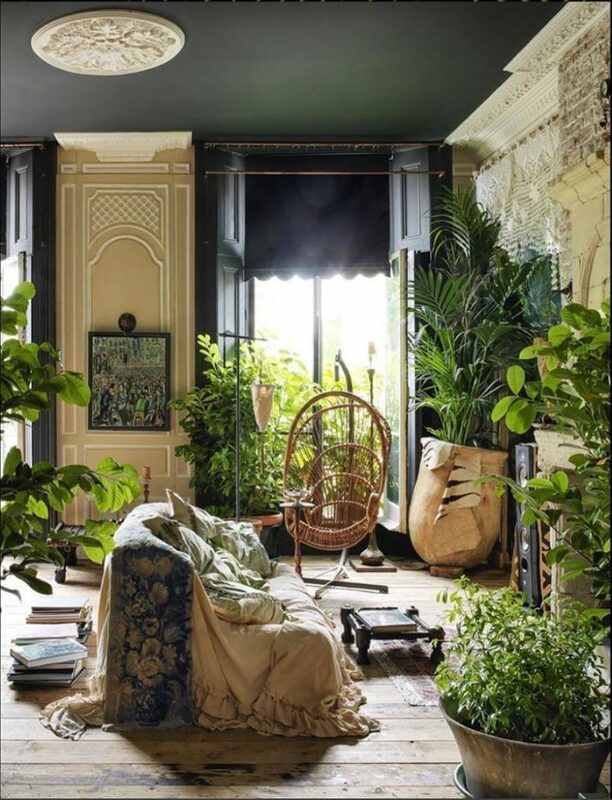 By drawing your eye up to the ceiling they make the whole space feel cosier and tall plants also function as the focal point in a room. Take a closer look at the interiors in movies. The number of lamps used in each shot and the ambiance they create is surprising. So is it possible to have too many lamps? I think not. As you can see in the photo below – walls can be a wonderland! A girl can dream, right? Interiors only look finished when the walls are addressed. So, if you’re looking for impact without the designer fee, I suggest painting a feature wall in any colour and hanging artwork. The wonderful thing about paint is that you can always paint over it. 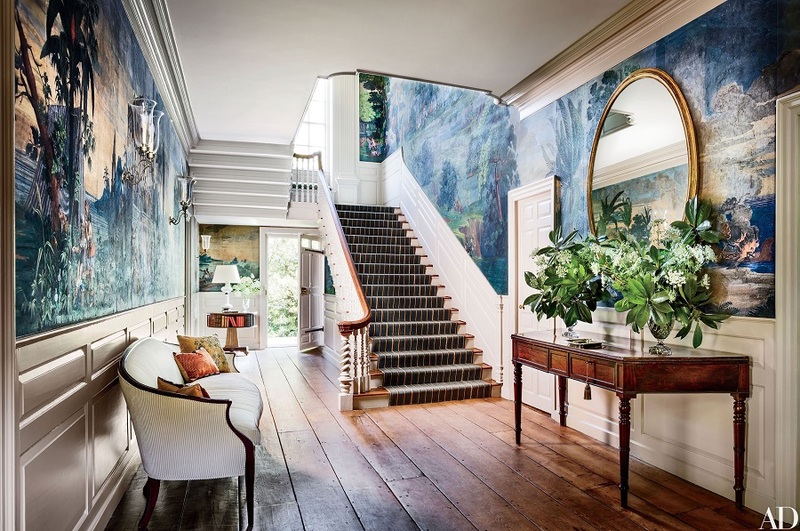 You can step it up a notch with patterned wallpaper, or you could paint a mural if you’re creatively inclined. Personalising a rental can be challenging if you don’t want to invest in fixed accents, in which case artwork is a fabulous transportable option. Gallery walls or salon hangs are a personal favourite of mine, because of their versatility and the opportunity to include photos and memorabilia. Commissioning a custom painting can save a lot of time and hassle when you are searching for the perfect painting. Otherwise, there are a myriad of art prints on the market these days. Maybe this fabulous ensemble isn’t what you would choose but I find this room far more inviting than the ultra safe ‘neutral interior’. My intention is to open the door to risk taking. So I say – be daring with accessories and allow your home to reflect you! 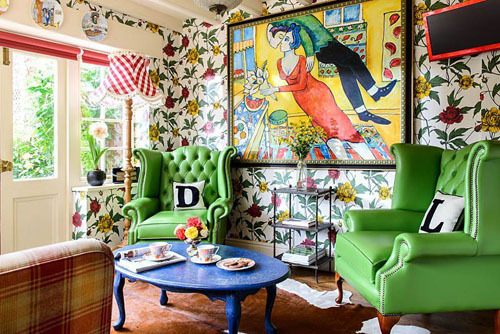 If you’d like to jump straight into a colourful wonderland like this photo check out our eclectic interior design post. Very few people find a white box inviting so it makes sense that pattern, detail, and texture are essential to create an engaging interior. Scale is as important for furniture as it is for accessories to achieve a comfortable balance of order and interest. When you play safe and opt for furniture and accessories that are too small you end up with either a sparse uninviting interior or an overwhelming one that has been filled with too much ‘stuff’. Let’s use this photo as an example. If they’d hung five small paintings it would have looked cluttered, instead they’ve used the large painting to balance the small scaled wallpaper. Furthermore, had they chosen smaller or white chairs the wallpaper would have overpowered them. With accessories less is more and it’s better to make a statement ? We gravitate towards defined enclosures as soon as we enter an unfamiliar room because it makes us feel safe. 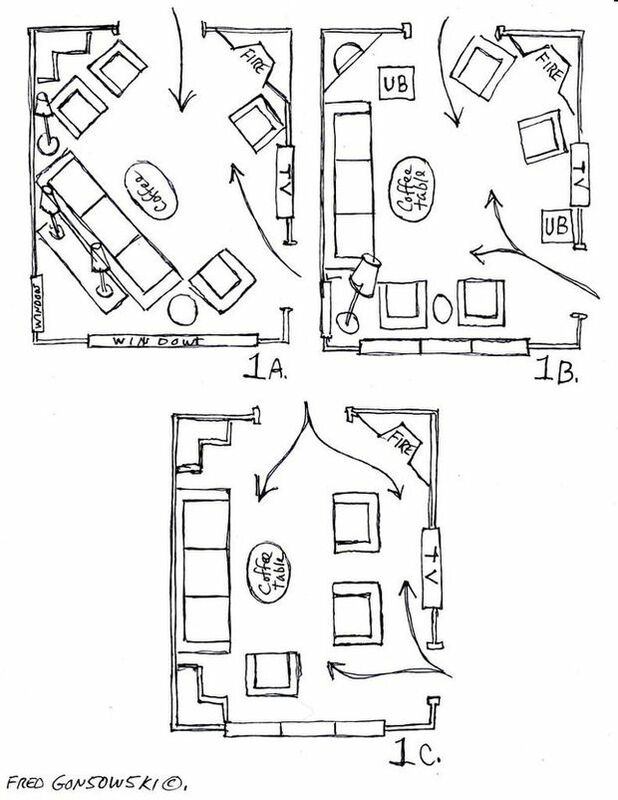 So, if you have a large open plan living area, make sure to distinguish between the different ‘zones’ within it. Rugs are a great way to tie floating furniture together – ideally sofas and arm chairs should have the front legs on the rug. You can also support floating sofas with tables at the side or back like in the photo above. Ensure that there is an ‘entry’ to your zone – without an obvious route in the seating area won’t feel inviting. Consider how your guests will travel through the space and avoid breaking up your ‘zones’ with walkways. Make sure that you can move through your whole house unimpeded. It’s obvious why this is important for the happiness of your guests, but it’s also imperative for your own satisfaction. If you squeeze past the sofa or knock furniture that sticks out – now is the time to try other arrangements. A good tool is to draw up the room plan and roughly cut out scaled furniture in paper. This way you can easily play with different configurations. We changed the design of our office fit out over 10 times before we got it right! If clearing walkways is going to be a big task you might be interested in reading one of Marie Kondo’s enlightening books on decluttering. I shared my decluttering story here. That’s all from me today, have fun ? Photo Credits: Architectural Digest. Seraoflondon Instagram. Bowerbird Collections. Midnight in Paris film still. Architectural Digest. 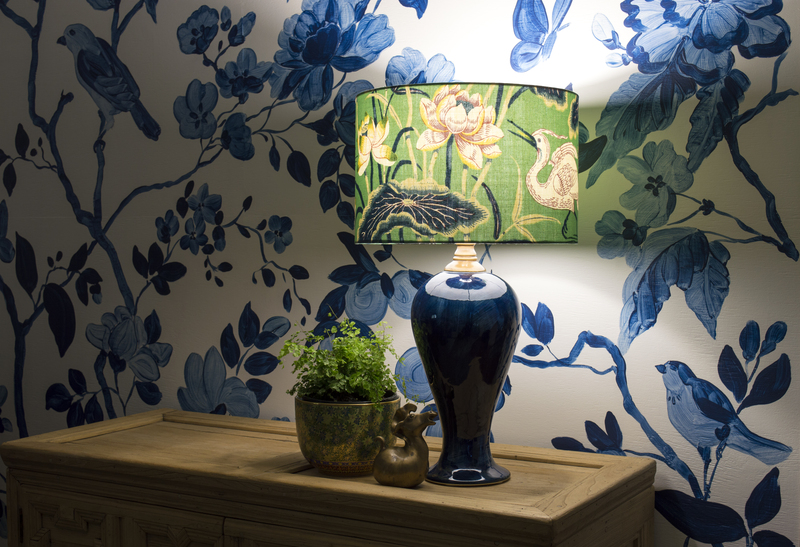 Colin Poole GAP Interiors. I can’t find the original source. Fred Gonsowski Garden Home. Decluttering Your Home with the KonMari Method: 2 years later, did it stick and was tidying up really life changing? 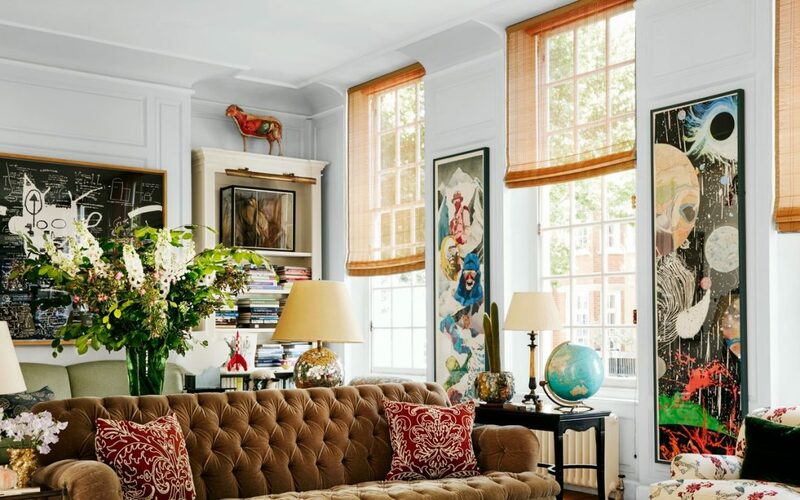 Eclectic Interior Design Done Right: 8 tips on how to create your own symphony of texture and colour AND avoid a hodgepodge mess.